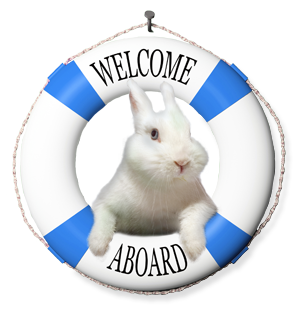 Leaping Bunny is in summertime mode and we are super excited! 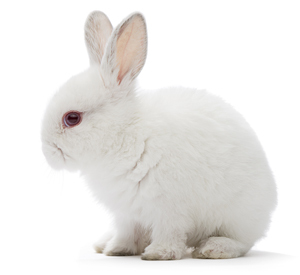 We love connecting with compassionate consumers as well as companies passionate about creating products free of animal testing, and these next few months we have several opportunities to do both! Be sure to follow us on Instagram and Facebook to see highlights from the events we will be attending! 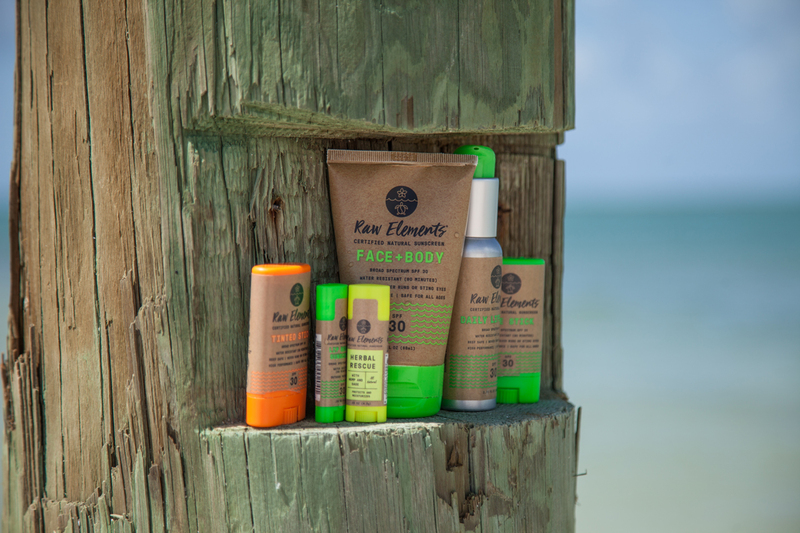 Since it is officially summer, we are featuring the sunscreen brand Raw Elements USA. Check out our interview with them below and be sure to take advantage of the exclusive discount code they generously offered. 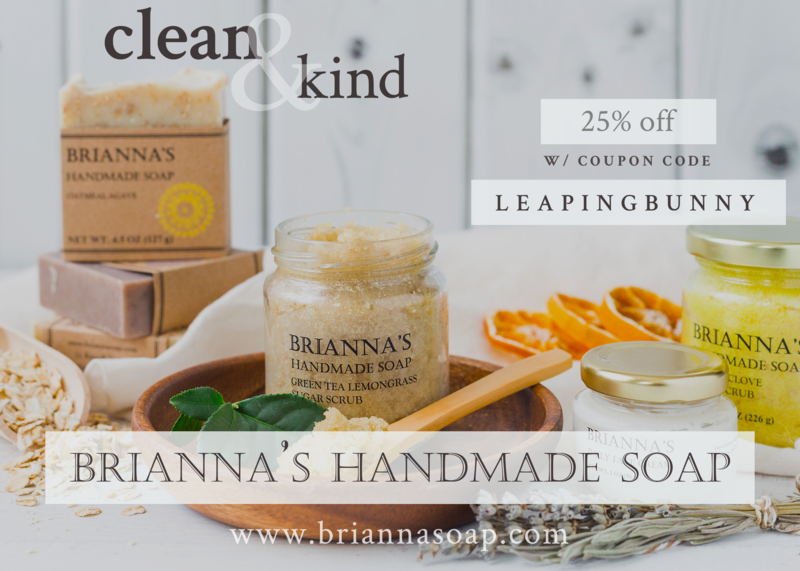 Also included in this e-newsletter: I step outside of my skin care routine comfort zone and find some new favorites; we share some of our most recently certified companies; and feature exclusive promos with companies BioSphere Naturel, Brianna’s Handmade Soap, Meant, and Parissa. What makes a great skin care routine? In my opinion, the answer is variety. Although we often cling to our favorite go-to brands and products, sometimes the best thing we can do for our skin is to branch out and step outside of our comfort zone. Below are three recently certified companies with amazing products which have made their way into my skin care routine and are now some of my favorites. In a perfect world, I would commit at least one evening a week to using a face mask. However, the process of applying and waiting for them to do their magic often feels burdensome because they are either super wet and/or messy. 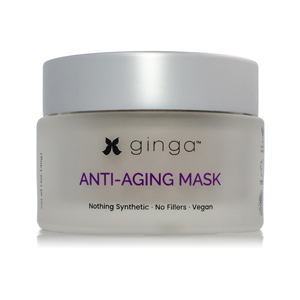 But, this face mask from Ginga is a total game changer. Simply mix a teaspoon of the product with a ½ teaspoon of water, apply to face, wait for it to dry, and then rinse off! There are so many reasons this mask is so wonderful. First, there is only one ingredient, kaolin, which is a mineral clay renowned for its benefits to skin. Secondly, the mask is not watery or goopy, dries within 10 minutes of application, and rinses off easily. Perhaps most important, my skin is left super smooth, bright, and clear, with no visible pores. Considering the hassle-free nature and benefits of this face mask, I have no problem using it at least once a week. I love a good face exfoliator. Oftentimes, they are a bit drying to the skin due to the nature of exfoliation. 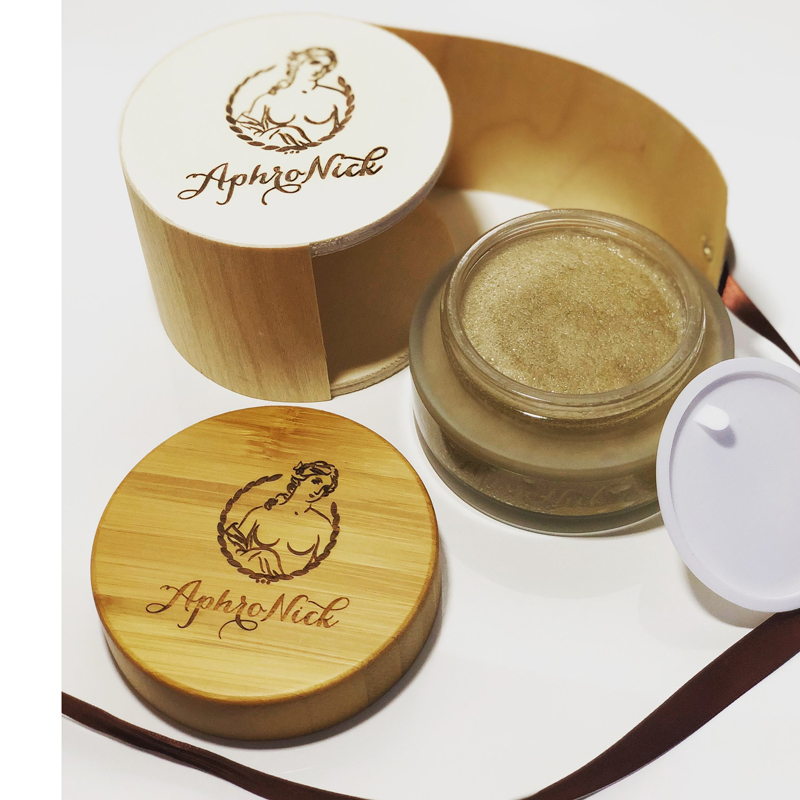 However, AphroNick’s face exfoliator is both purifying and moisturizing. The second ingredient is coconut oil, which creates a wonderful conditioning base for the other components such as maca extract, chia extract, sacha extract, and a variety of essential oils. The formulation is a bit thick, but it exfoliates wonderfully. When I apply it to my skin, I feel like I’m giving myself a facial. Afterwards, my skin feels super smooth, hydrated, and clean. I also love the aroma of this product from the essential oils, with lavender as the overarching scent. Although this product is considered a serum, I view it as a serum-moisturizer hybrid. The formula is light, creamy, and feels more like a hydrating lotion than a traditional serum. I love how I can use it in place of a daily moisturizer and still get the benefits of hydration and softening of skin. Ingredients include aloe leaf juice, organic blue green algae, and organic neem oil. My skin feel super fresh and nourished after applying. Welcome our newly certified companies! Even though summer is officially in full swing, the growth of our Compassionate Shopping Guide has not gone on vacation. All the companies below have made the commitment to creating products free of animal testing, so be sure to click on their links below and show them some love! 100% natural makeup line committed to producing products that your skin will love. 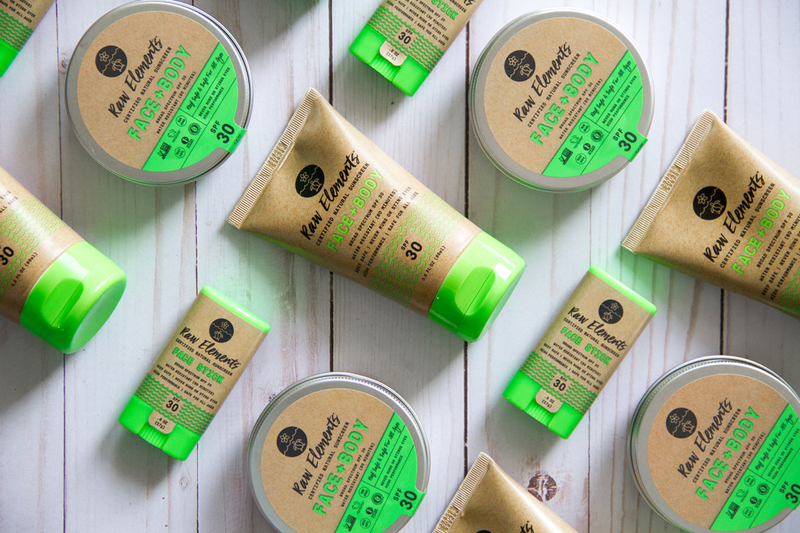 100% organic skin care line; launching with flagship face exfoliator. Ethically made bathing products made with a sustainable harvest of natural ingredients and specially formulated for the passionately dirty. High quality cosmetics appealing to individuals with colorful, shiny products in eye catching packaging. Vegan handmade soap and skin care products with delicious scents including green tea lemongrass, lavender blossom, mint cocoa, and oatmeal and agave. 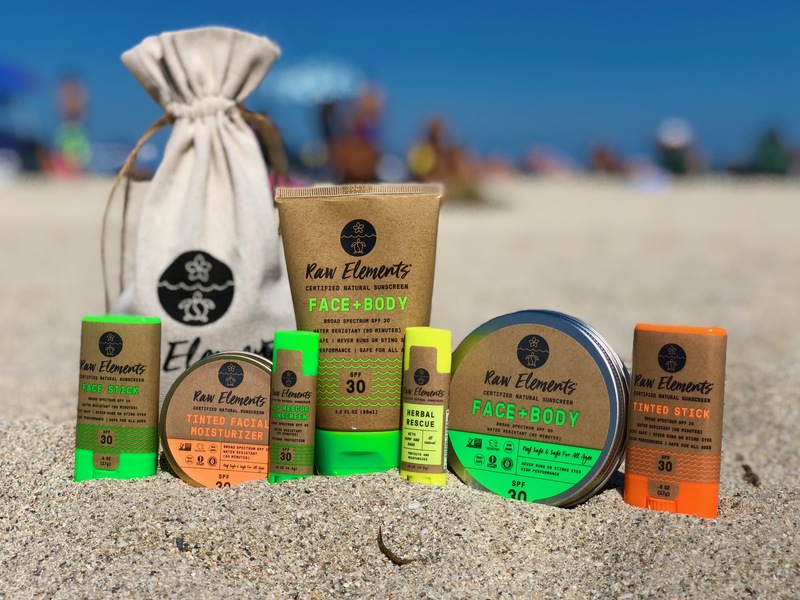 Hemp infused skin care line. Personal care company specializing in products for women. Skincare line created by an esthetician that are vegan, non-GMO, antibiotic, and paraben-free. Skincare line dedicated to clean products and made without sodium laurel or laureth sulfates, mineral oil, and animal products. Cosmetics for the active individual and formulated to compliment skin without clogging pores. Handmade artisan body care with the mission to provide products that are sustainable and organic. USDA certified organic, 100% pure essential oils. Hand blended, small batch bath soaks poured directly into tub. Cosmetic brand with the mission to provide everyone with affordable, high quality makeup and skincare made of high quality natural and botanical ingredients. 8-free nail polishes in which customers are able to custom-design their own bottle or select from a variety of classic and trendy colors available. Brother and sister team with a skin care line that is environmentally focused, transparent about ingredients, and uses ethical practices. Haircare line that challenges conventional wisdom of both the harsh cycle of traditional shampoo, condition, repeat, and instead believes less is more. We are so excited to interview Brian Guadagno from Raw Elements USA. This company focuses on providing sunscreen gentle enough for infant care yet meets all the performance demands of athletes. 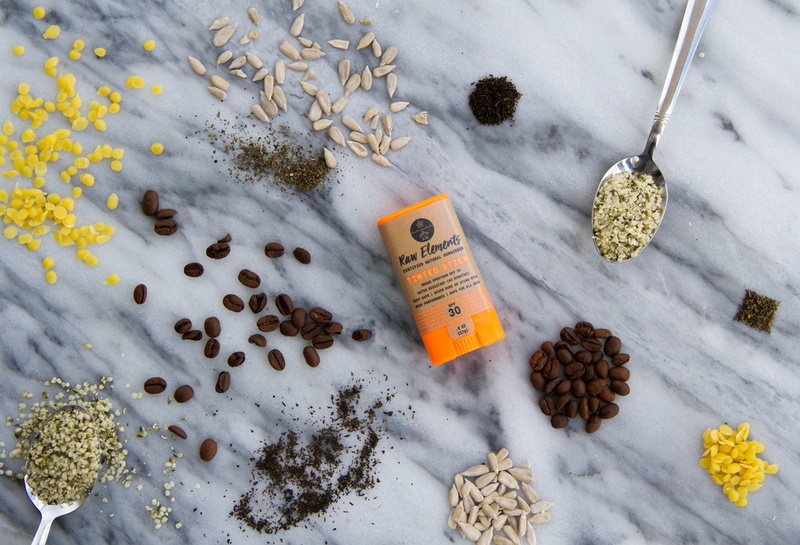 Products are over 70% organic, reef-safe, non-GMO, and cruelty-free, of course. Please read below to learn about the inspiration behind the company, its most popular products, and a little inside look at the company structure. Be sure to check out Raw Elements USA’s website and use "Leapingbunny10" for 10% off! What was the inspiration behind the creation of Raw Elements? As an Ocean Lifeguard, our founder became aware of the harmful effects of chemical sunscreens. He felt a responsibility to find a solution to this problem—a natural sunscreen that could keep up with the demands of the active person. After years of research, he turned his kitchen into a lab and began to develop the solution: Raw Elements. What is Raw Elements’ mission? To deliver the safest, most effective sunscreen on the planet. 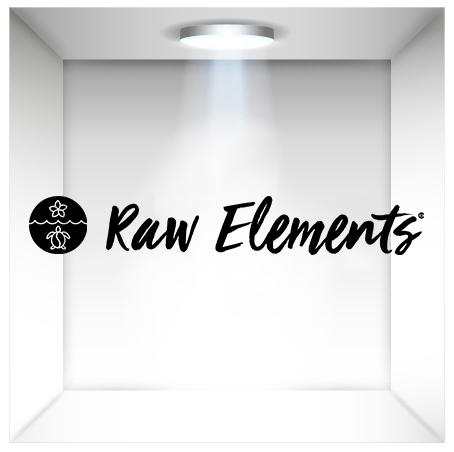 What is your favorite Raw Elements product and why? They are all fantastic but our new Daily Lifestyle is really exciting and an entirely new delivery system applicator! Our Face + Body SPF 30+ because it is the most versatile, large skin coverage area. What has been the most rewarding part of creating Raw Elements? I’d have to say seeing the evolution of the brand and the reception of consumer mindset to it while holding steadfast to our core mission. Who is Raw Elements’ target market? The conscious consumer. Whether that is a person who is keyed into cruelty-free products, environmentally safe sunscreens, or SPF that must perform at a high level—a consumer who is tuned in and will not sacrifice. 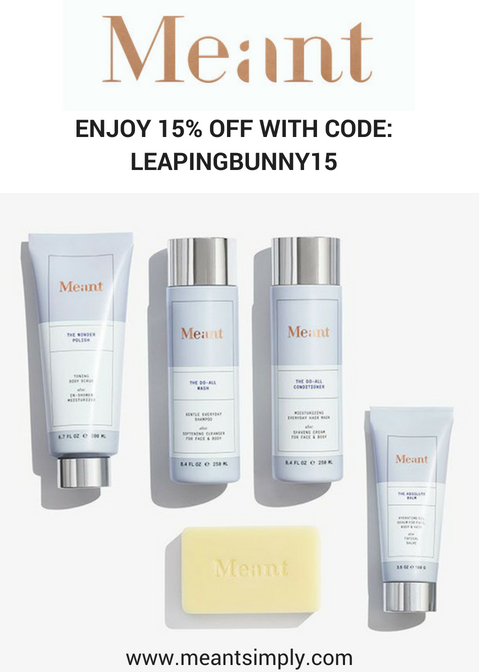 Why is being Leaping Bunny certified important to Raw Elements? It is a part of the storytelling of our brand that shows our commitment to authenticity. There are more mindful and safer ways to go about creating personal care products. Our consumers demand that and we as a brand our committed to it. 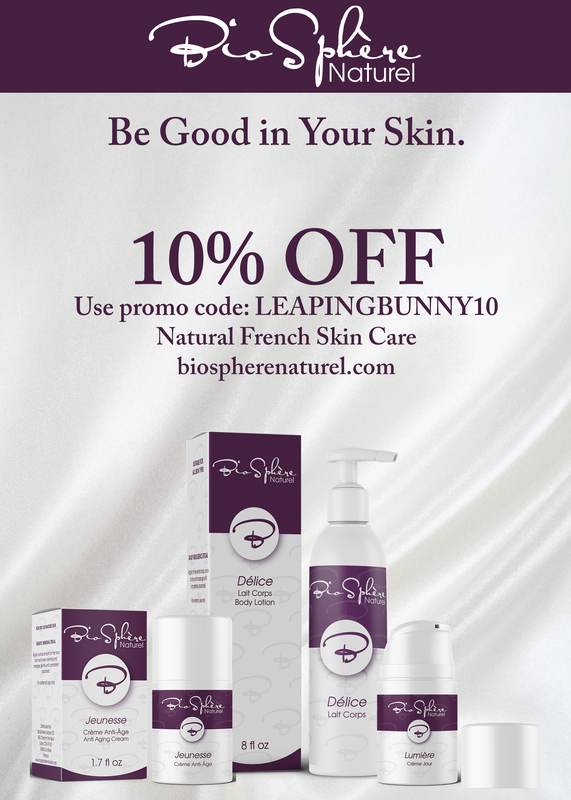 Leaping Bunny certifies our commitment to our cruelty-free practices. What is something unique about Raw Elements that others may not know? We are a team of only 6 and we are great friends. Each individual brings their own passion and perspectives to our work and it is reflective in the evolution of our brand.